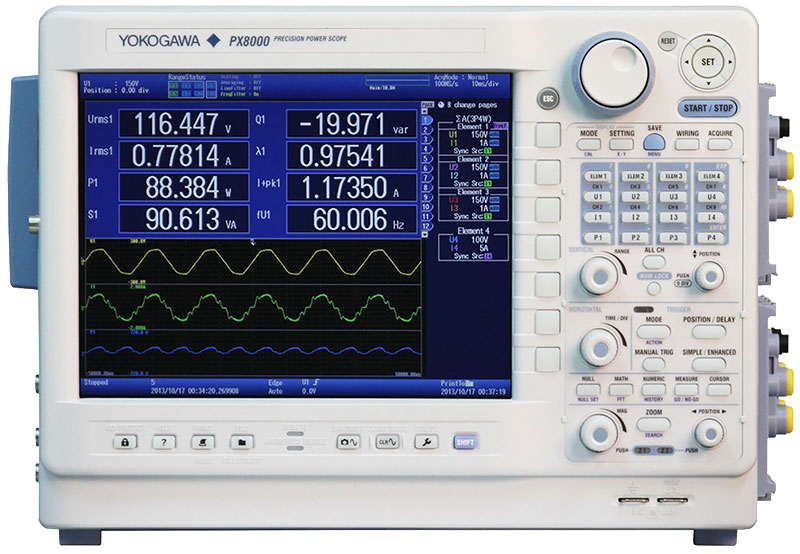 This firmware is intended to upgrade the PX8000 to the latest version. Revised fault of the USB communication. Added support for updated internal parts. Added support for PD option. Added support for German menu. Expanded fundamental frequency range of harmonic measurement. Corresponding to the change of parts. Revised unit display when Measure Integ 1/2 TY are calculated. Revised numeric data resolution when Harmonics Start Position is located during Zoom cursors. Revised trigger level setting of the AUX module. Revised faults of setting during operation of several dedicated functions together. Added power parameters measurement by start and stop cursors.